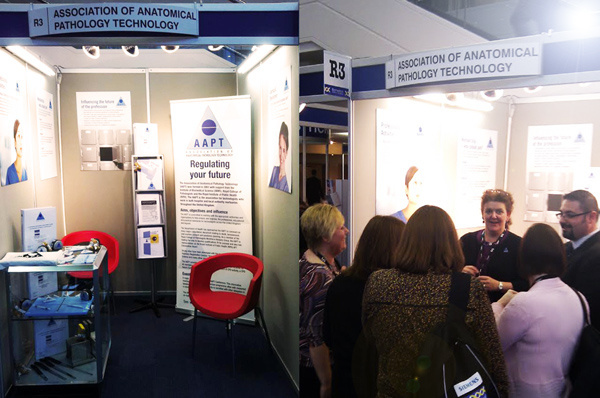 The AAPT were delighted to welcome delegates to their Exhibition Stand at the IBMS Congress in Birmingham. James Lowell (Chair) and Ishbel Gall (Vice-Chair) received many biomedical scientist visitors on Day One. Council members Lydia Judge-Kronis and David Shepherd will continue to network with healthcare science colleagues over the next few days in order to raise the profile of anatomical pathology technology.